Two weeks ago I had that dream, the dream that’s most people’s worst nightmare: speaking in front of an audience. (At least I wasn’t naked.) In fact, I woke up feeling great. I had been worrying about what to say and my dream told me. I awoke knowing just how to write my speech. It seemed like a miracle to have my dream do my work for me. 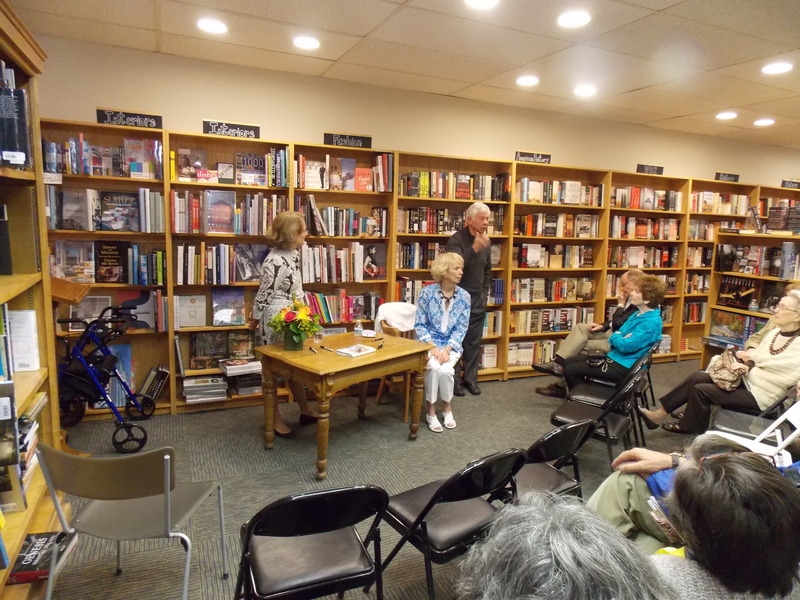 Lori, Bob and I were scheduled to speak about Lori’s Lessons at the Book Stall in Winnetka May 4. I so wanted to do a good job for the Patins that nothing I wrote seemed good enough. The dream dispatch was a gift from my subconscious. It didn’t come as word-for-word text, but as a message to be straightforward, to tell why Lori’s story is so great and to say what a privilege it has been to tell it. This may sound obvious now, but it wasn’t before my subconscious gave me the dream. I am a great believer in the power of the subconscious. When I was in college, I procrastinated about writing papers. The night before they were due, I would read through all my notes and then get a good night sleep. When I woke up, I would sit down at the typewriter and type my paper like magic. While I slept, my subconscious organized all the material, figured out what was most important and tied it all together. My main problem with speaking about Lori’s Lessons was getting started. I usually open by telling of the blessings the Patins have brought to my life. Between the time that we set up our first meeting and the time we met, my daughter was diagnosed with epilepsy. Lori’s story, her wheel of attack against her disease, has helped me teach my daughter how to stand up to her neurological disorder. Bob’s words of wisdom about caregiving have inspired and strengthened me as I care for her. My daughter gave me permission to tell her part of the story in the book, but I knew she would not want me to discuss it when she was in the audience. That caveat had blocked me from writing the talk I wanted to give. My dream straightened me out: I didn’t need to tell my story. I love a book by Rollo May entitled The Courage to Create. In it, he said: “The value of dreams…is not that they give a specific answer, but that they open up new areas of psychic reality, shake us out of our customary ruts, and throw light on new segments of our lives.” You just have to be ready to receive the message.